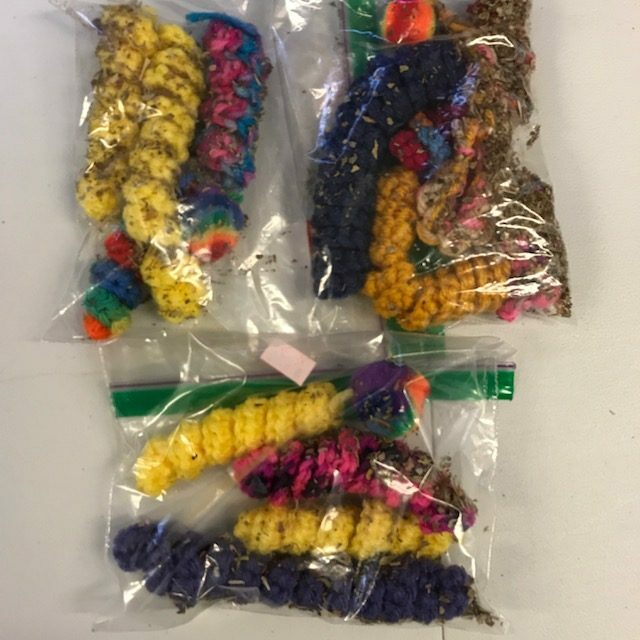 Crocheted coil toys are infused with the "good stuff" catnip. We've even included a little pom ball to play with too!! There are 4 coil toys for your cats to play with. Many colors---we'll pick out a pack for you!